يحظى فندق Monaco Apartments Resort بمكان متميز في محور صن شاين كوست شواطئ, مطاعم, برامج عائلية في منطقة كالوندرا آند كنجز بيتش الفاتنة. يقع مركز المدينة المثير على بعد 0.1 Km فقط. سوف يعشق النزلاء موقع هذا الفندق، فهو قريب من أهم المعالم السياحية في المدينة كمثل كالوندرا كروز, متنزه كالوندرا, خدمات كالوندرا الصحية . يقدم Monaco Apartments Resort خدمات لا غبار عليها وكل أشكال اللياقة وحسن الضيافة اللازمة لإسعاد ضيوفه. يقدم الفندق مرافق مخصصة لذوي الاحتياجات الخاصة, تسجيل وصول/خروج سريع, تخزين الأمتعة, واي فاي في المناطق العامة, صف السيارات لضمان الراحة القصوى لضيوفه. تنعكس أجواء Monaco Apartments Resort في غرف الضيوف.تلفزيون بشاشة مسطحة, حوض الاسترخاء, غرف لغير المدخنين, مكيف هواء, تدفئة هي بعض الميزات الموجود في العديد من الغرف. يقدم الفندق العديد من الفرص للاستجمام كمثل حوض استحمام ساخن, مركز للياقة البدنية, ساونا, مسار جولف - ضمن 3 كم, حمام سباحة خارجي. استمتع بخدمات لا يعلى عليها وعنوان ذو اعتبار في Monaco Apartments Resort . يرجى العلم أن ساعات عمل مكتب الاستقبال هي من الاثنين إلى السبت من 8:30 صباحًا إلى 5 مساءً ويوم الأحد من 8:30 صباحًا إلى 3:30 مساءً. وعلى النزلاء الذين سيصلون في غير الأوقات المذكورة الاتصال بالمنتجع مباشرة وإبلاغه بموعد الوصول التقريبي. It was so surprise that we dod not expect such big space we qould stay in Ansy kids and hisband they were so happy with the fact that every shops we sould vsit were close. And wevisit noosa ereas and if there were some activities we cooud take we would habe not traveled to noosa which was one hour far from this accommodation. We had a beautiful apartment with wonderful views out to Pumistone Passage. The Monaco is extremely well run by a lovely management team. We had a really nice time and will definitely return. No hesitation in recommending. Again we enjoyed the excellence of Monaco at Caloundra! Again we arrived ahead of time & were welcomed to check in to our beautiful apartment 2 hours early! 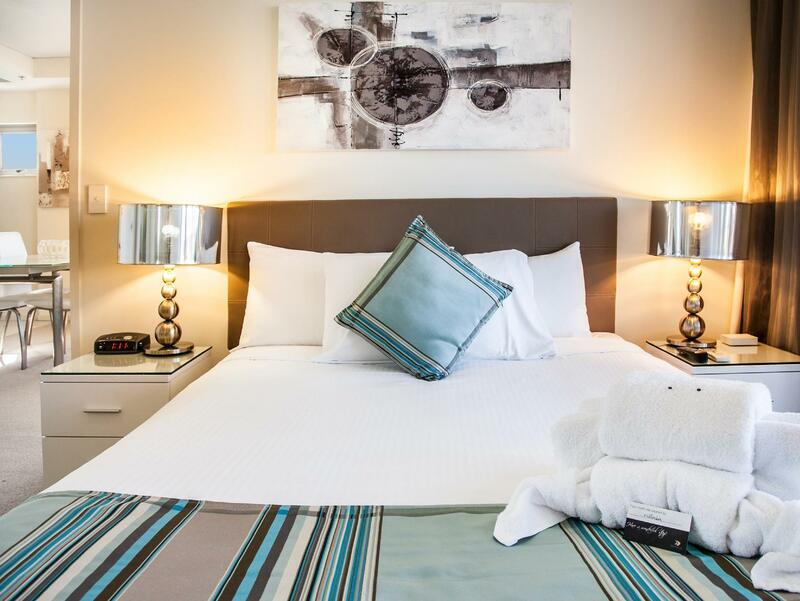 We’ve stayed at Monaco several times now & it is our accommodation of choice when visiting the wonderful Sunny Coast. Monaco never fails to disappoint, excellent & tasteful apartment layout & decor, breathtaking views & a superb location make us want to come back again & again. Book early so you don’t miss staying in this fabulous establishment. Great location ! 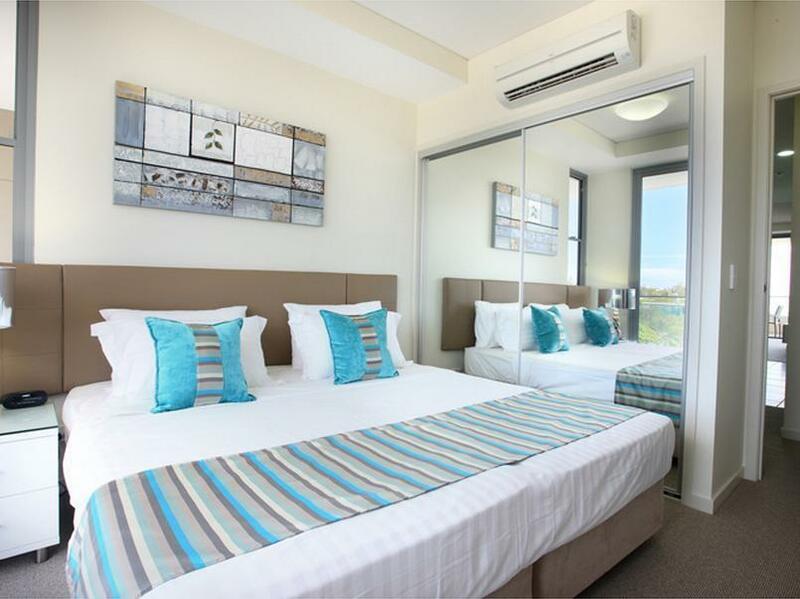 Staff are so helpful and friendly Nice and tidy apartments , very roomy Walking distance to the Esplanade cafes and Bullock St I would stay here again ! 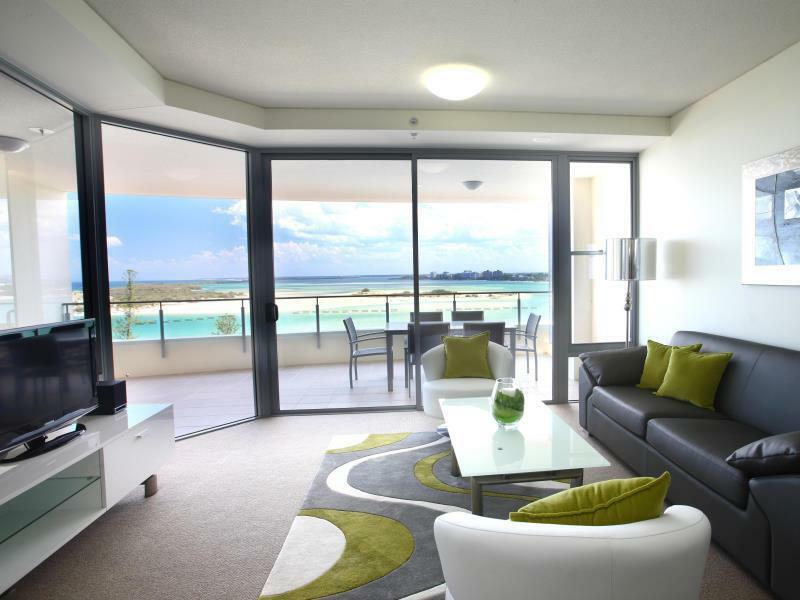 The two bedroom ocean view apartment was perfect for us as a family with a toddler. Spacious and homely with incredible views. We loved the pools, the heated toddler wading pool was an awesome bonus. 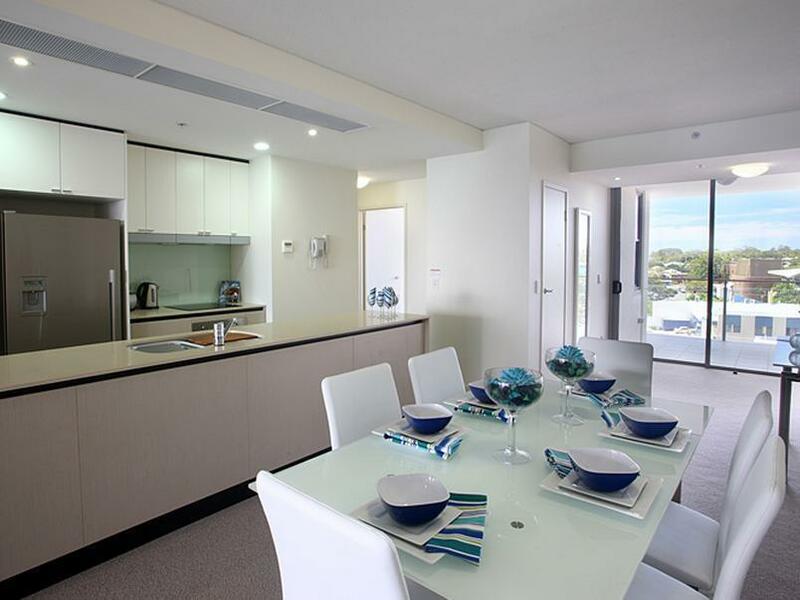 The location is second to none, we enjoyed being able to walk to the shops, restaurants and beach, while still only a short drive to Aus Zoo and SeaLife. On the rainy days the apartment was big enough that we didn’t feel cabin feverish and we also had a great time playing in the games room, teaching our little one how to play table tennis. The staff we encountered were all friendly and helpful. We will definitely be back! Fingers crossed we get some better weather next time! Pros: Location short walk to beach and restaurants, stunning water views, lovely self contained unit, large balcony, pool, exceptional staff were very helpful friendly and accommodating. Cons; 1 bath towel per person, for 5 night stay - we really needed a spare for wet hair and the kitchen could have used a few more salad or serving bowls and a good stove top frypan. Staff were happy to find me a frypan when I asked, they were very helpful. Would highly recommend for a relaxing stay. I would definitely recommend the Monaco Apartments, it suits singles, couples and families, it is 2 minute walk from the water and shops, great restaurants near by and lovely staff. The apartments are new, modern and large. My wife and I were celebrating my 50th and stayed for a week in late March. 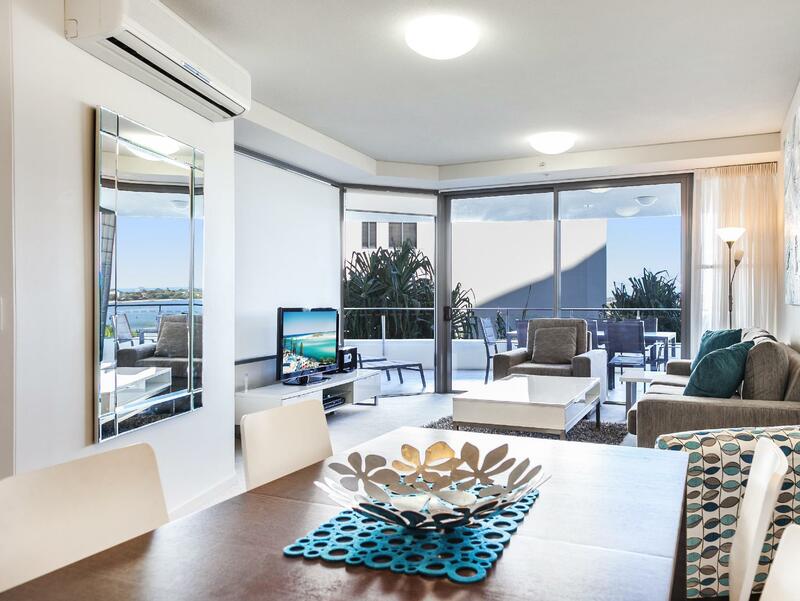 We thoroughly enjoyed our time in Caloundra and our stay at the Monaco was very pleasant. Getting up to that view every morning was divine and just a short stroll to the beach and cafes. I could not believe how affordable it was. We really enjoyed our stay! Friendly future recommendations: * 2 soaps in the bathroom would have been nice - there was only 1 soap between 2 people and not able to use soap by the sink. * We only had 2 rolls of toilet paper for 4 days - perhaps 1 roll for every day between 2 people is a better option. * We were not able to turn on/off the aircon in the bedroom as the remote didn't work and the main control panel did not control that aircon. * The fire alarm went off twice during our stay - once at 7 am on our first morning and again at around 6 pm on our last night. The above are not complaints, simply awareness for the hotel. Above all we thoroughly enjoyed our stay and would definitely stay at the Monaco again!!!! We were early to check in but we were greeted by a very friendly and helpful receptionist who telephoned us when room was ready. The room was exceptionally clean and had everything you might need. Excellent location to restaurants and town centre. Beautiful lap pool and spa. Great size balcony- was sorry to leave. Will definitely be back. We have just had a 12 day stay in a 1 bedroom water view apartment on the 7th floor. We loved it all. 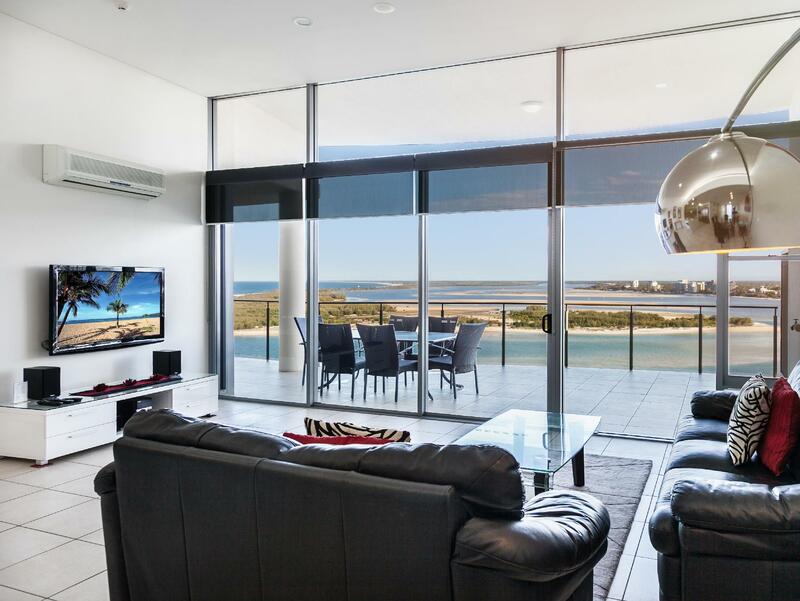 The room was great, the view of the passage was spectacular, our favourite was at dusk and the proximity to everything in Caloundra was great. The car stayed in the secure car park most days. Staff were very friendly and helpful and the security was reassuring. The place was packed but you wouldn't know because it was really quiet. We highly recommend this perfect place in paradise. On our 2nd stay we again enjoyed a beautiful apartment with fabulous views and everything you could possibly need. 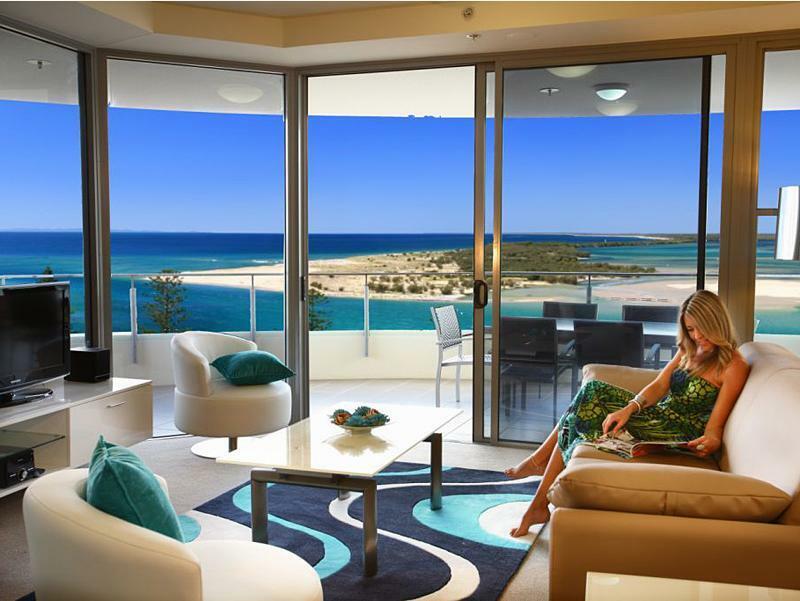 We expect to visit Caloundra a few times a year and wouldn't bother looking for any other accommodation, why would we? We love Monaco! Excellent. Great room we had, had air con to keep the rooms at a nice temperature, everything was great. Loved the games room with some free table tennis. Only let down was the pool was very big but loved the spa. Apartment was in a lovely location however cleaning was sub standard - dusty surfaces, greasy exhaust fan, stains on sheets and pubic hairs in spa - not an expected level for a 5 star Hotel I am afraid. Loved the lot highly recommend. Great location, friendly staff, very clean and everything at hand. Views of beach and balcony with tables and chairs. Great shower and a very comfy bed! Can't fault my stay..